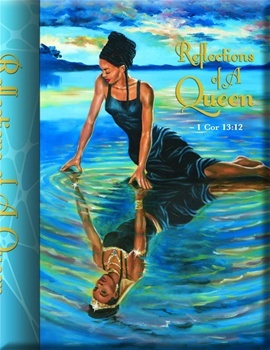 Lord, we know that a VIRTUOUS woman is a crown, and is virtuous to her husband. Who can find Lord, that woman that is an example of a Virtuous woman? Your word says that HER THOUGHTS ARE PURE. HER FAITH IS TRUTH. SHE SEEKS TO WORK WILLINGLY WITH HER HANDS. SHE CONSIDERS HER FAMILY ABOVE HER OWN NEEDS AND WANTS. HER CANDLES DOES NOT GO OUT WHEN NIGHT COMES. HER CLOTHING IS SILK AND PURPLE (OF ROYAL PRIESTHOOD!) HER CLOTHING IS ALSO HER STRENGTH AND HONOUR. You have said Lord, that a wise man who has wisdom, shall be commended when he finds A VIRTUOUS WOMAN! Help us Lord to be that kind of woman that people calls, 'Virtuous'! 'Blessed'! Help us Lord to stand fast in the truth of your word. Let us be that example. Help us to become a VIRTUOUS WOMAN, if we have not already surrendered. Lord, we know that to surrender, we have to give up our will for YOUR WILL. There has to be an exchange of will. Our plans for your plans. We have to TRUST YOU, Lord. We have to give total control of our lives over to you. RELAX in your will..
Lord, in this day of independent women (Without you Lord! ), help us to be dependant on you. 'LORD, I GIVE YOU TOTAL CONTROL OVER MY LIFE, MY FAMILY, AND MY DAILY WALK WITH YOU. I WILL LET YOU LEAD, LORD, FOR A CHANGE, AND I WILL FOLLOW YOU. I SURRENDER, LORD! I SURRENDER, LORD! Woman of faith, did you know that through FAITH we inherit the promise? But, we have to be bold in our FAITH because the enemy is not timid. We cannot cower and weep like there is no hope, whenever the enemy tries to tear us down. We have to speak out and tell the Devil to 'back off, I am a faithful woman of Prayer.' 'GET BEHIND ME SATAN! We MUST ALSO, add to our FAITH VIRTUE. We must be the virtuous woman that God has called us to be, in His WORD. Because FAITHFUL is He (GOD) that CALLS US! HE HAS ALSO, CALLED US TO BE VIRTUOUS!